KUALA LUMPUR, May 2 — A survey has revealed that Malay support has swung from Islamist party PAS to Pakatan Harapan’s PKR after Nomination Day, making the party the second-most preferred by the majority after Barisan Nasional (BN). 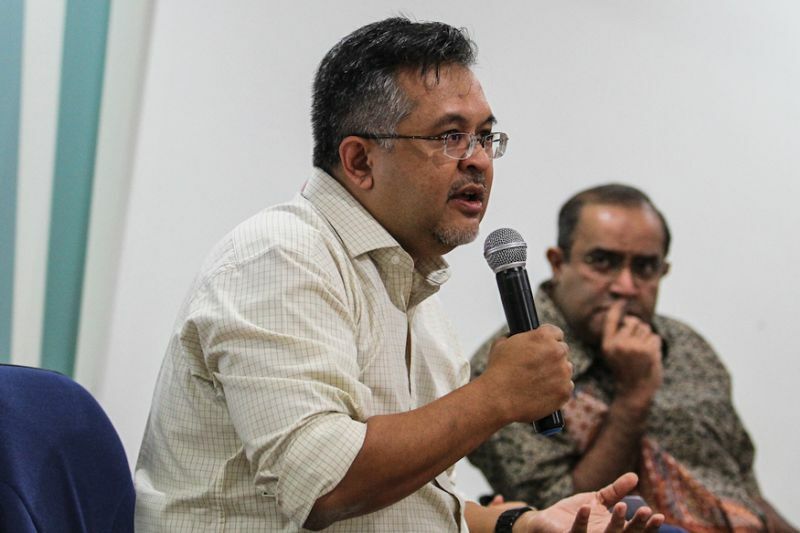 Merdeka Center executive director Ibrahim Suffian at a seminar today said while 41 per cent of Malays still supported the ruling coalition, PKR has increased it support by 9 percentage points from 13 per cent of the demographic. “Based on the new findings, PKR’s Malay support now stands at 22 per cent while the support for PAS has decreased from 16 to 13 per cent. “The comparison was made based on two separate surveys conducted on April 16 and May 1,” he said at Menara Chulan here. In the 14th general election, PH component parties PKR, DAP, Parti Pribumi Bersatu Malaysia and Parti Amanah Negara will all contest under PKR’s ticket. PAS was once part of the Opposition pact, but has now allied itself with others under parties the Gagasan Sejahtera pact. Among the ethnic Indian voters, however, PKR has now topped BN by 5 percentage points. “Before Nomination Day, BN and PKR had the same percentage of 31 per cent but after that, PKR now stands at 39 per cent while BN stands at 34 per cent,” he said. Meanwhile, there has not been much change in support within the ethnic Chinese community where 61 per cent of the support goes to PKR, while BN lost 1 percentage point post-nomination. The rest of the respondents, he said, did not disclose their choice, were unsure or declined to answer the question. The data was derived from one of Merdeka Center’s many preliminary surveys leading up to May 9. Ibrahim said he hopes to release the updated findings in a couple of days.